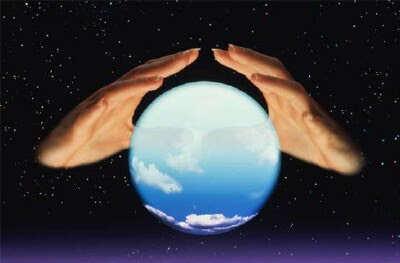 Update January 4, 2010: Just over one year ago, I discussed year-end prediction pieces like Fortune's "8 really, really scary predictions." As I surmised back then, the vast majority of these calls would be proven wrong and the common sense advice from folks like FDIC chief Sheila Bair and veteran money manager John Train would serve investors far better. Read my commentary below to see that. And, keep all of this in mind as you read 2010 prediction articles. Major media outlets like to run year-end pieces wherein they interview various sages and pundits for their prognostications regarding what will happen to the economy, stock market, bond market, real estate market, etc. in the year ahead. The premise of these pieces is that the wise folks who are interviewed can tell you how to profitably position your finances for the year ahead. Greed sells and so do hyped magazine and website headlines. Increasingly common is Fortune's recent published, 8 really, really scary predictions, in which they asked 8 different geniuses what will happen in 2009. The headline is designed to grab your attention and the subtitle attempts to whet your appetite and explain why these experts were selected. "Dow 4,000. Food shortages. A bubble in Treasury notes. Fortune spoke to eight of the market's sharpest thinkers and what they had to say about the future is frightening." I'm not quite sure about the expression "sharpest thinkers." If I was foolish enough to believe that anyone could accurately predict what's going to happen with the economy and financial markets over the next 12 months, I can assure you that I would first look at their track record of previous predictions and how those turned out. The reality is that no one knows what the near-term will bring and besides, those investing in stocks, bonds, real estate, etc. should not be thinking about a one year time horizon anyway. They should have a much, much longer-term span. The Fortune writers clearly didn't do that with the first sage profiled in the piece, NYU economics professor Nouriel Roubini, who repeatedly claimed throughout 2008 that he saw and called all of the events that took place. A historical review that I conducted of his previous predictions shows that's not even close to the case and in fact he has a terrible overall track record with predictions. For the record, Roubini predicts the following for 2009 (and beyond), "Things are going to be awful for everyday people. U.S. GDP growth is going to be negative through the end of 2009. And the recovery in 2010 and 2011, if there is one, is going to be so weak - with a growth rate of 1% to 1.5% - that it's going to feel like a recession." My prediction is that this prediction is very likely to be wrong. The reason: recessions, even sharp ones, don't generally last that long. As for investments, a field in which the Iranian-born Roubini has no experience, he says, "For the next 12 months I would stay away from risky assets. I would stay away from the stock market. I would stay away from commodities. I would stay away from credit, both high-yield and high-grade. I would stay in cash or cashlike instruments such as short-term or longer-term government bonds. It's better to stay in things with low returns rather than to lose 50% of your wealth." This is profoundly awful advice which Fortune should be ashamed to publish. The fact of the matter is that the best time to invest in stocks and other seemingly risky assets is after they've suffered major declines as they did in 2008. There are some good values in the bond market so Roubini's advice there is wrong-headed as well. (Bill Gross the next expert in the piece does know bonds and disagrees with Roubini). Roubini's advice to invest in cash-like instruments and longer-term government bonds is also likely to be poor counsel. Worried investors piled into these assets in 2008 causing their prices to soar and yield to plummet. In fact, Jim Rogers, one of the eight experts, sees this sector as being the next over-priced bubble! I remember after the 1987 stock market crash all the publicity that gurus got who supposedly predicted the stock market's crash (which Roubini didn't really do in advance but that's another matter). Among the most famous (at the time) was former Shearson stock market analyst Elaine Garzarelli (photo below). Garzarelli's fund, Smith Barney Shearson Sector Analysis, was established just before the crash. Supposedly, Garzarelli's indicators warned her to stay out of stocks, which she did, and in so doing saved her fund from the plunge. Shearson quickly motivated its brokers to sell shares in Garzarelli's fund. Thanks to all the free publicity she got from being interviewed just about everywhere, investors soon poured nearly $700 million into this fund. These investors ended up being sorry. In 1988, Garzarelli's fund was the worst-performing fund among growth stock funds. From 1988 to 1990, Garzarelli's fund underperformed the S&P 500 average by about 43 percent! So even the few investors who were in her fund before the crash in 1987 (when Garzarelli's fund outperformed the S&P 500 by about 26 percent) still lost. What she saved her investors by avoiding the crash she lost back (and then some) in the years that followed. Bill Gross, founder of bond behemoth Pimco, has a solid long-term track record investing in bonds. He predicts for 2009, "Investors need to recognize these titanic shifts in market and public policies and be content with single-digit returns in future years. Perhaps the most lucrative pockets of value are in high-quality corporate bonds and preferred stocks of banks and financial institutions that have partnered with the government in programs such as the Troubled Assets Relief Program (TARP)." Gross actually has a poor track record making stock market predictions. Among his major blunders, in late 2002 with the Dow trading around 7,500 and suffering a major decline, Gross predicted the Dow would sink to 5000. The Dow didn't go lower and in fact Gross' dire prediction coincided with a major stock market bottom and over the next five years, U.S. stock prices approximately doubled. Gross rounds out his 2009 prediction by saying, "Above all, stick to high-quality companies and asset classes. The road to recovery will be treacherous." Again, he's likely to be wrong. In fact, seemingly riskier stocks like emerging market stocks are likely to produce the heftiest returns in the next bull market, which may well have begun at the end of 2008. Robert Shiller, professor from my alma-mater, Yale, opines the following, "In terms of the stock market, the price/earnings ratio is no longer high...But after the stock market crash of 1929, the price/earnings ratio got down to about six, which is less than half of where it is now. So that's the worry. Some people who are so inclined might go more into the market here because there's a real chance it will go up a lot. But that's very risky. It could easily fall by half again." Shiller is correct about the price-earnings ratio falling recently and no longer being high. However, saying that stocks could easily fall by half again from their greatly depressed values in late 2008 seems more extreme than likely or easy. 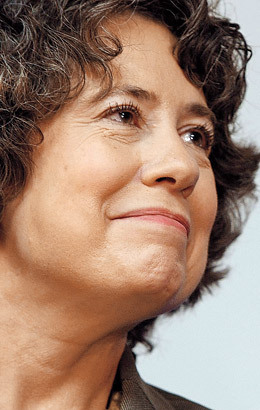 I think some excellent advice in this piece comes from of all people a government agency head - Sheila Bair, FDIC chairman (photo below). Part of what makes it good is that she intelligently redirected the question away from a one year time frame. "My 87-year-old mother is a native Kansan who grew up in the throes of the Great Depression and the Dust Bowl. She is a classic ‘buy and hold' investor who would make Warren Buffett proud. Her investment returns always exceeded those of my father, to his eternal consternation. He actively traded his stocks and produced decent returns, but nothing like those my mother achieved by simply buying stocks of companies she understood and liked, and then holding onto them." Well said! And, her parents sound a lot like mine. My mom is a buy and hold investor, largely following the advice I have given her over the many years regarding mutual funds and exchange-traded funds. My dear father, on the other hand, a retired mechanical engineer, charts stock prices and trades, not invests and his returns suffer accordingly. Jim Rogers, a former hedge fund manager is a smart man but who too often provides obtuse comments when interviewed and peppers them with all the supposed smart trades he completed recently. To the Fortune reporters' credit, they actually got Rogers to say what he's investing in now. "What I've been buying recently is agricultural commodities. I've also been buying more Chinese stocks. And I'm buying stocks in Taiwan for the first time in my life. It looks as if there's finally going to be peace in Taiwan after 60 years, and Taiwanese companies are going to benefit from the long-term growth of China." As I said earlier, emerging markets stocks should do well over the long-term but they certainly are volatile. Interestingly, Rogers says, "...I'm now selling long-term U.S. government bonds short. That's the last bubble I can find in the U.S. I cannot imagine why anybody would give money to the U.S. government for 30 years for less than a 4% yield. I certainly wouldn't. There are going to be gigantic amounts of bonds coming to the market, and inflation will be coming back." I too am puzzled why some investors apparently think 30-year Treasury bonds paying less than 4 percent are a good (or safe) investment. Regarding U.S. stocks, Rogers is far less optimistic, saying, "In my view, U.S. stocks are still not attractive. Historically, you buy stocks when they're yielding 6% and selling at eight times earnings...For stocks to go to a 6% yield without big dividend increases, the Dow will need to go below 4000." It seems unlikely that we're going to see U.S. stocks selling at such bargain valuations that haven't been seen in decades. Could it happen? Yes, anything could happen but it doesn't seem very likely. John Train, who is chairman of Montrose Advisors, a money management firm, has five decades of investing experience and perspective and like Bair, focused on the longer-term in his comments. "Investment opportunity is the difference between the reality and the perception. And since many equities are priced as though a depression might be on the way, many of them are attractively priced." This is well said and the reason why stocks may prove to look undervalued in late 2008 when we look back on this period unless we do end up having an unusually long and deep recession.